Awards and prizes in education should be taken with a pinch of salt. How can you possibly choose a teacher of the year? Even it was possible to for one organisation to actually somehow consider them all, what criteria could you use to say, this particular one is the best. I don’t dispute that the teachers who win such prizes are indeed very good teachers and worthy of being allowed to stand in the limelight and enjoy the recognition. But singling one out as the ‘best’ seems a little odd. I filled out the application form, without even mentioning it to Pasi. I was uncertain, it fitted the criteria in my view, but would it do so for the judges? It was a competition that seemed more geared up to full blown language teachers, rather than art teachers who squeeze language education into their lessons on the side. Two weeks ago, I received a mail to say that our project had been shortlisted and would have to be presented to jury and public at the National Conference for Language Education. Presentation is something that I do feel at home with, so two weeks later I found myself with a stand at the conference with our ‘Photographic Exchange’ project presented as stylishly as I could, given the fact that I had only very limited time to plan how to do it. Maybe I’m just a bit shy, but I did feel a little like a gatecrasher……as an art teacher at the languages conference. Perhaps I’ve never quite got over just how bad I was at languages at school, and here I was presenting a project for innovative approaches to language education at a national conference. It’s funny how things turn out! Anyway, to cut a day long story of conversations with a great many visitors short, the project that we had put together last year was awarded second prize in this competition for good educational practice. I still think that educational competitions should be taken with a pinch of salt. I know full well that there are other excellent projects out there that for countless reasons never even got as far as being sent in for consideration by the judges. But what I do know is that we had a good project, one that we as teachers and our pupils worked well with. I also have to say that having your moment on the stage in a huge theatre in front of your peers is, well kind of fun. Is fashion becoming my thing? Fashion design is not my specific area of specialization. I was trained as a painter and that remains my man focus of interest. Having said that, one of the great luxuries of my education job here in the Netherlands is that I get to teach the subject known as Culturele en kunstzinnige vorming (CKV), which roughly translates as artistic and cultural education. It is a fantastic subject that takes me and the fifteen and sixteen year olds that I teach into the broadest range of cultural disciplines such as film, theatre, dance, music, photography, architecture, applied art, design and visual arts. Over the fourteen years that I have now taught CKV it has lead me to widen my own cultural knowledge base into many new areas. 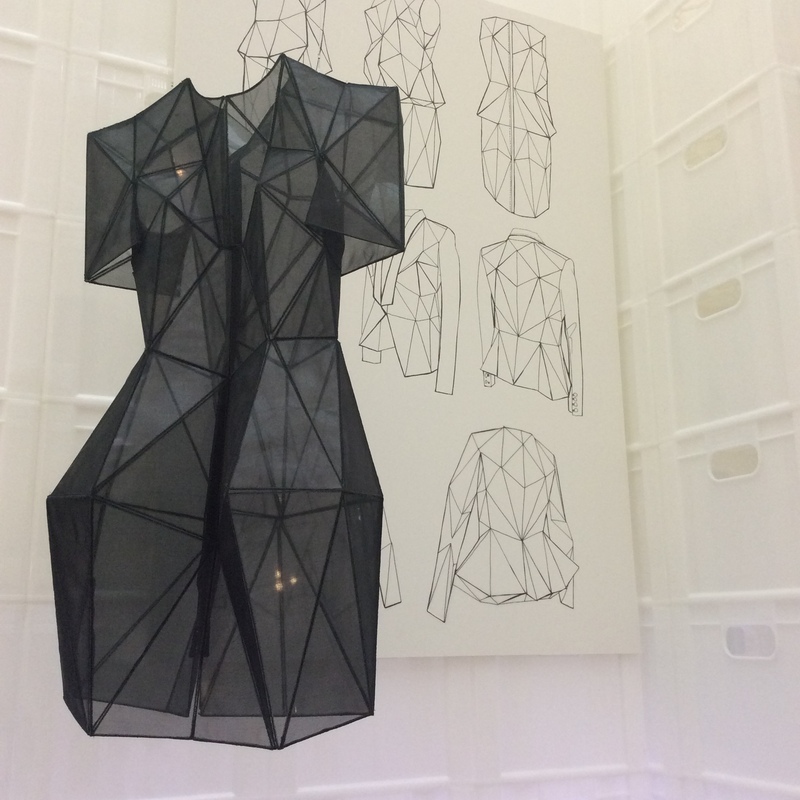 It is with this process of continual self-education I travelled to The Boijmans van Beuningen museum in Rotterdam to see The Future of Fashion is Now exhibition. As I wrote earlier fashion design isn’t specifically my thing, although I have to admit to a growing interest and have just completed writing a module of lesson material for my CKV lessons that I’ll be working with after the Christmas break. The exhibition today was an opportunity to top up on ideas that I might be able to make use of in my lessons. A particular challenge in this area is to break through the inherent conservatism in the pupils’ view of the world. So many of them in their approaches are anything but radical. They like what they know any they know what they like! Forcing them to consider things outside of their normal range of experience is the challenge here. I want them to think creatively and experimentally, the idea will ultimately to produce a design idea, although I should add, not and actual item of clothing. 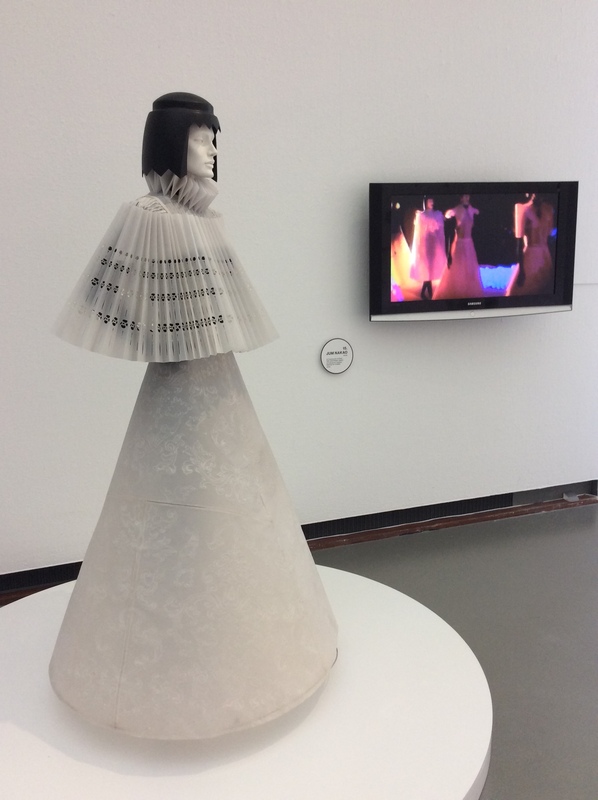 Partly inspired by another recent exhibition in the Gemeentemuseum in The Hague entitled Romantic Fashions my idea is set the challenge of producing a hybrid item of clothing that combines the clothes of today with elements of fashion from the nineteenth century. There are examples of designers who have done just that already, people such a, Vivian Westwood and Jan Taminiau. But in taking these frames of fashion reference I am attempting to reduce the over whelming range of references that are potentially on offer to the pupils. They will learn a little about the cultural world of 150 years ago and they will relate it to the world that they know today. It is at this point that the exhibition in Rotterdam today will be useful. Pupils know what to expect in the high street in 2014 generally, they might even know a little about what appears on the catwalks of Paris and Milan, but much of what was visible today was altogether more experimental and will challenge them to think further and hopefully creatively when combining the designs of the past with the sensibilities and materials on offer today. 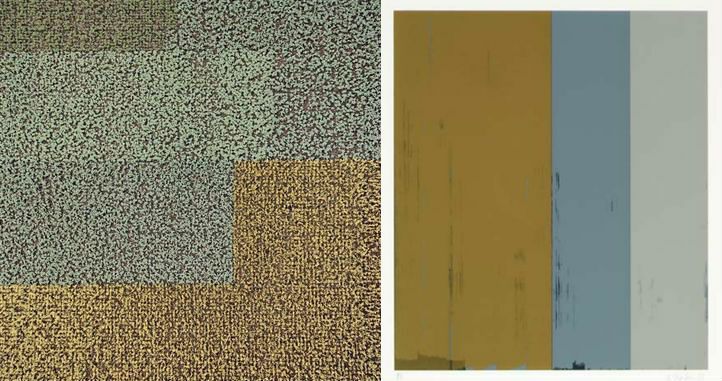 I have been trying to raise the general profile of art and culture at the school where I work since I have worked there. 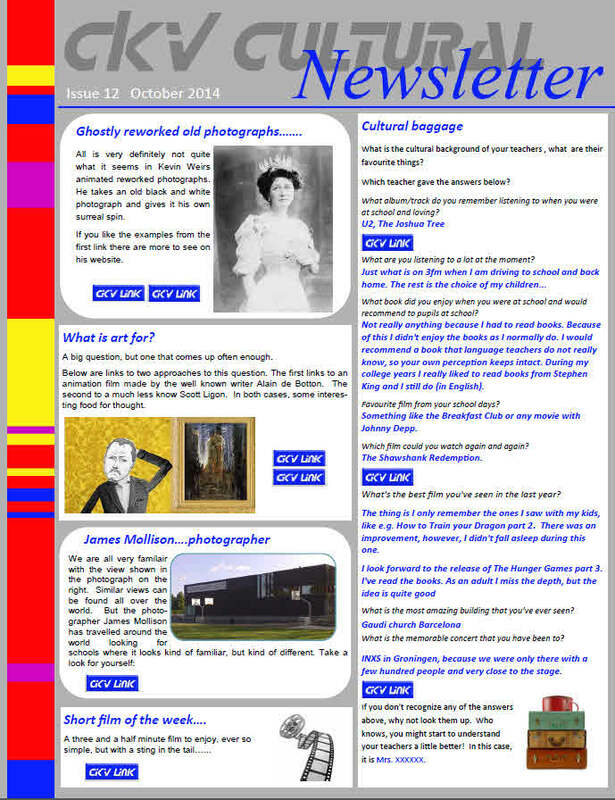 For the last couple of years I have been sending out a newsletter every couple of months to the older pupils in the school and to all the staff. Normally the content of the pdf file has a similar format. On the right is a çultural baggage’ questionnaire, filled in by one of the members of staff in order to give us all a little more understanding as to what they are (culturally) all about, and on the left links to a sellection of artistic, sites, films or articles that I think might be interesting to my quite broad readership. I’m not sure why it hasn’t occurred to me to put it onto my blog too, I’d certainly be interested to hear any feedback or comments from others who do something similar. Click on the link below to take a look at the lastest issue. In secondary education we work with young people who take more photographs than any previous generation and discard an equally large number of images. The idea that the photographic image can have a sense of design, a sense of meaning or of social context or importance is often quickly lost. 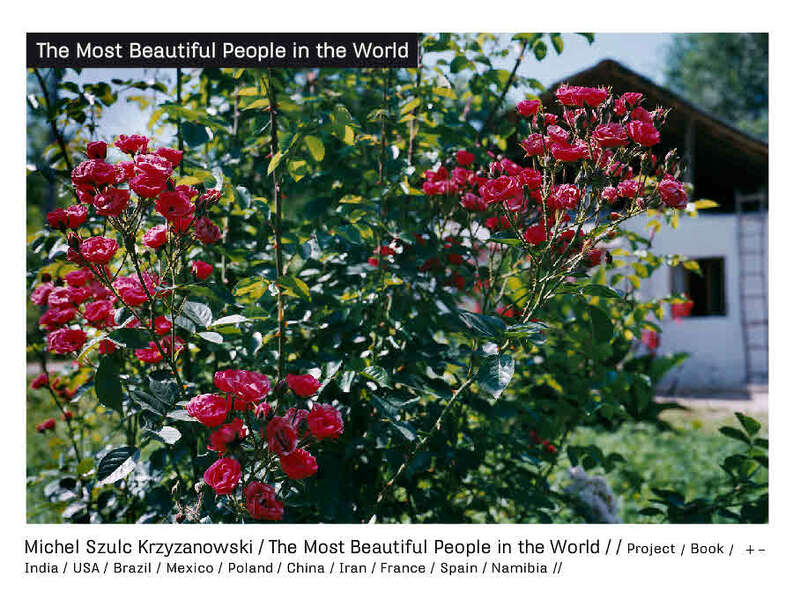 A number years ago I saw (together with two of the classes I taught at the time) an exhibition of the work of Michel Szulc Krzyzanowski and his ‘Most Beautiful People’ project. I was instantly taken by the simplicity of the project and saw clearly how the same simplicity and the social edge the project has attracted the attention of the pupils. In the fixed format of three photographs and a simple series of questions so much information is given. It invites us to ask the same questions about ourselves and make comparisons. The differences between our own situation and others on the other side of the world are often huge, but when the social ‘mirror’ is turned, we all want to see ourselves and be seen by others as beautiful seems quite universal. Some of the reasons people give as to why they consider themselves to be a beautiful person are hugely revealing, others are humorous and still others are simply familiar.